Hello! Today I'm back with a quick stamping mani. I recently placed an order over at Fragrance Direct, which included a bottle of OPI 'Uh Oh Roll Down The Window'. I've always wanted to give the shade a go, but hadn't picked it up until now. 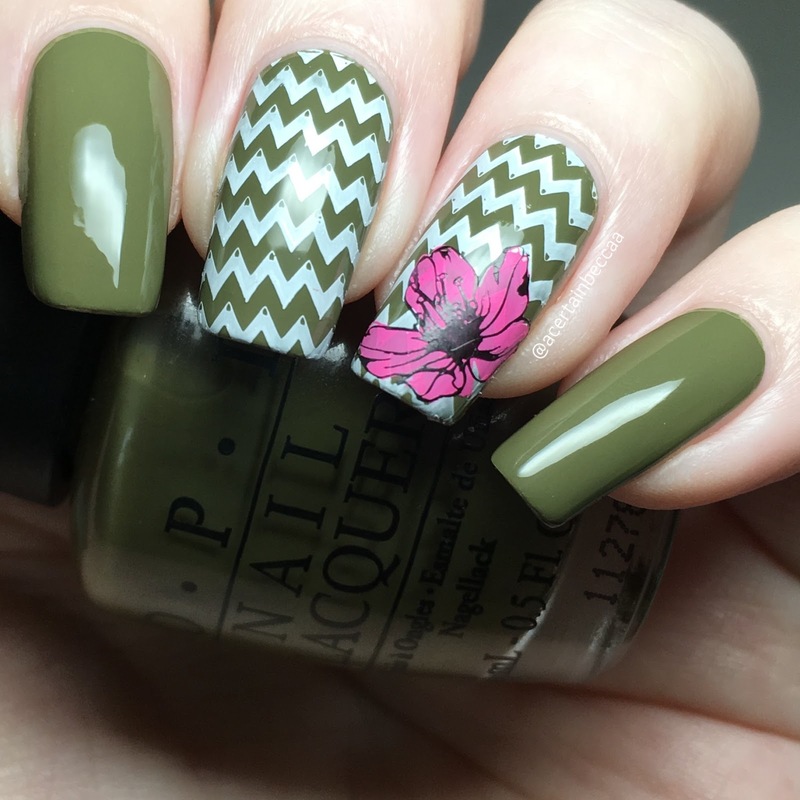 I decided to lighten it up a bit with some springy nail art. Read on for more info! 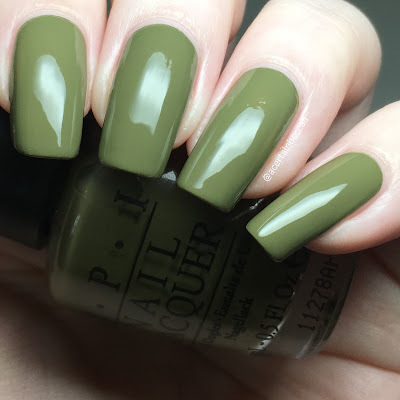 OPI 'Uh Oh Roll Down The Window' is a dusky, swampy green creme. The formula is smooth and easy to apply. I did have a couple of small light patches after two coats, so added a third to even it out fully. Below is three coats with topcoat. 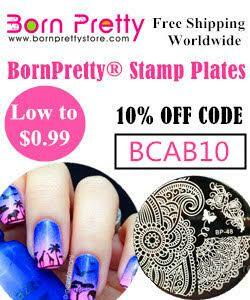 For my stamping, I used UberChic Beauty plates. I stamped one of the chevron patterns on plate Got Chevron? using Hit The Bottle 'Snowed In' onto my middle and ring nails. I then added one of the layered flowers from plate 23-01 using Esmaltes Da Kelly 'Kiki' and Hit The Bottle 'As Black As Night'. What do you think? 'Uh Oh Roll Down The Window' is quite commonly debated as an 'ugly pretty' colour - it is definitely an interesting shade of green, and I love it! I also think it paired really well with the stamping. It feels fab to play around and do a bit of nail art after so long. I think my mojo is definitely back!